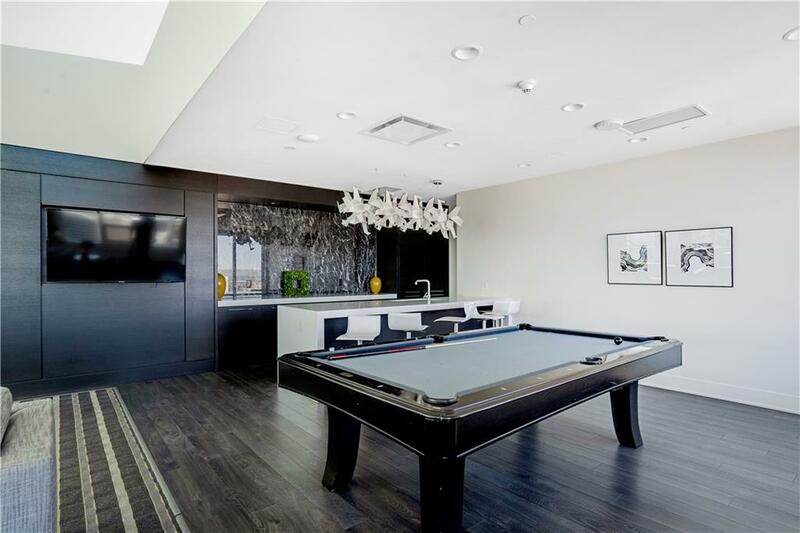 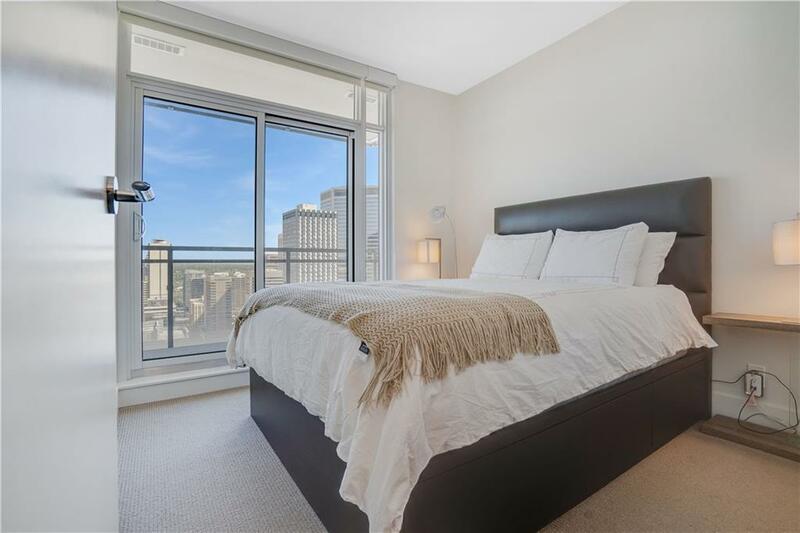 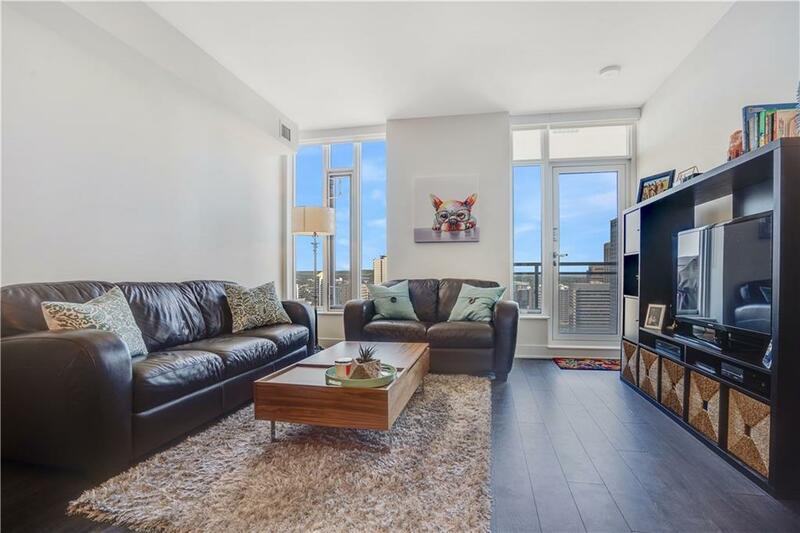 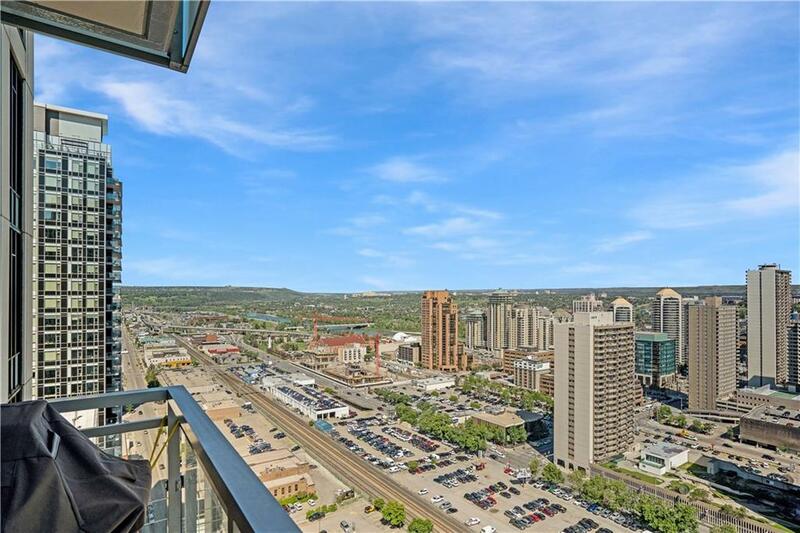 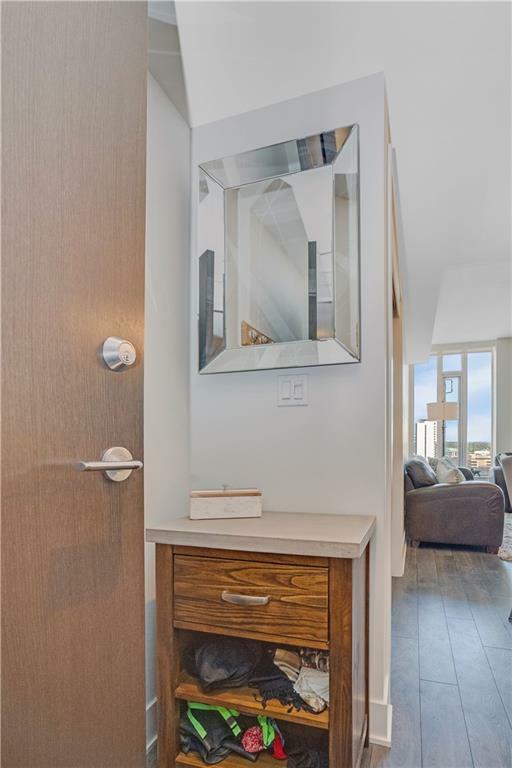 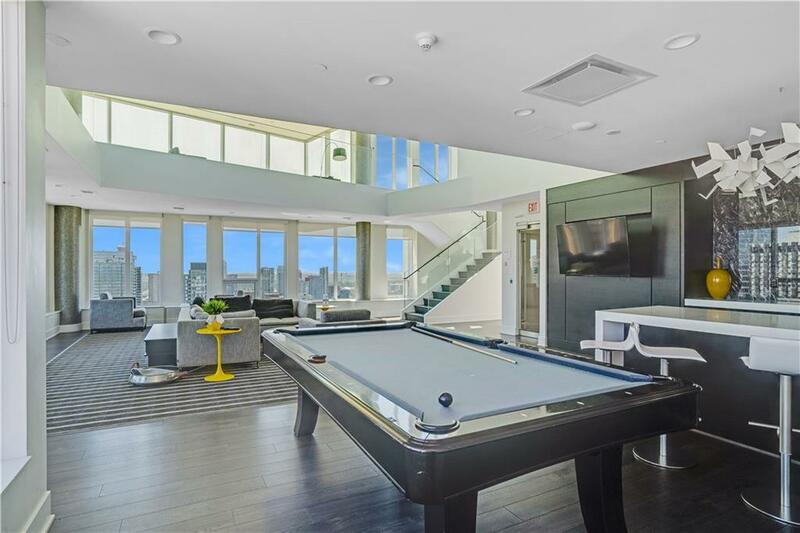 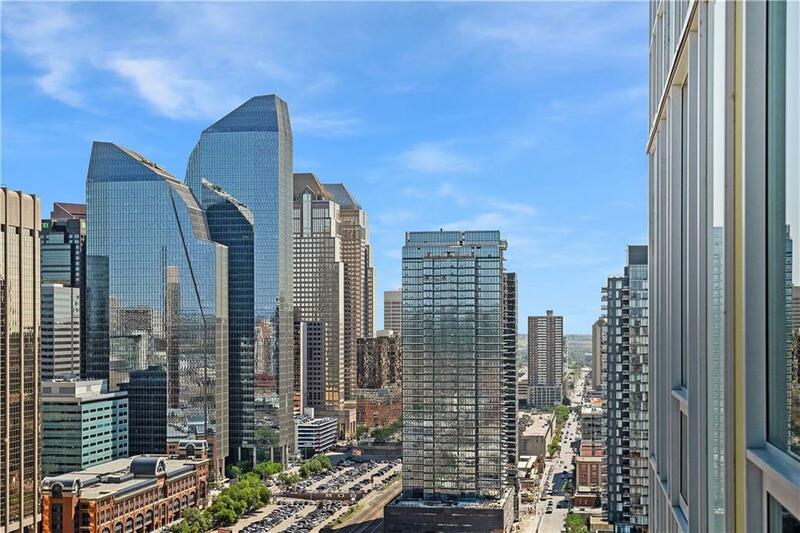 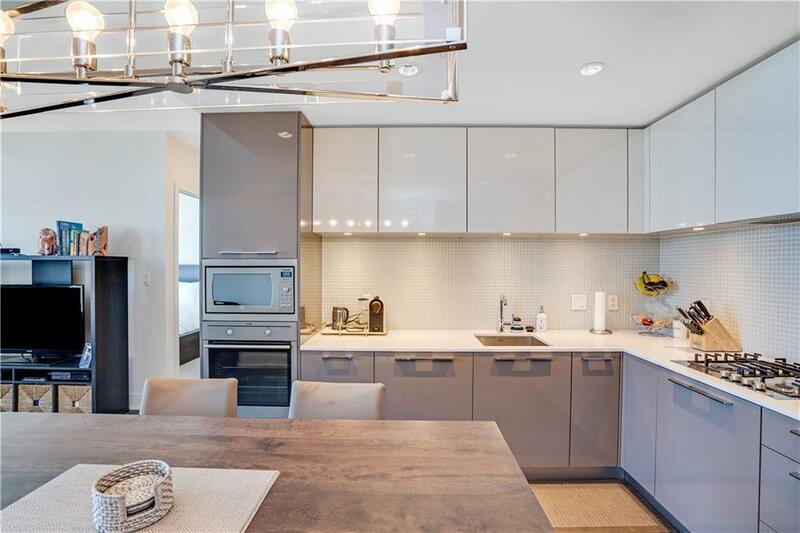 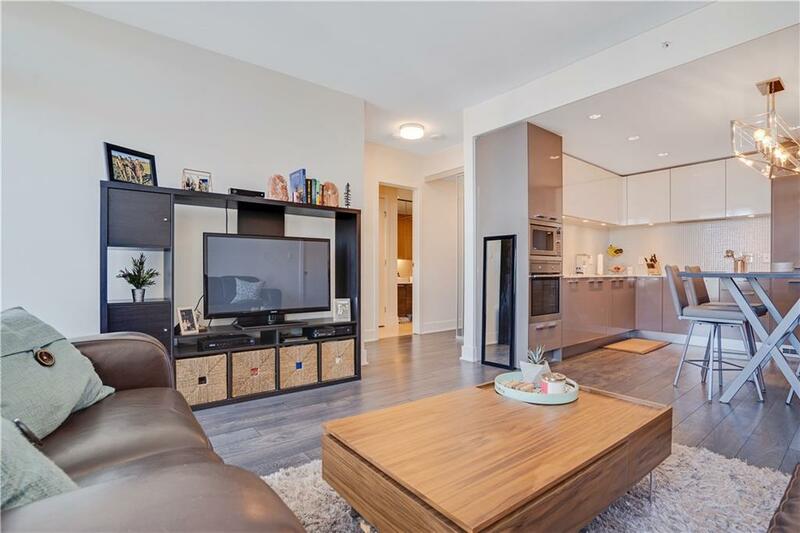 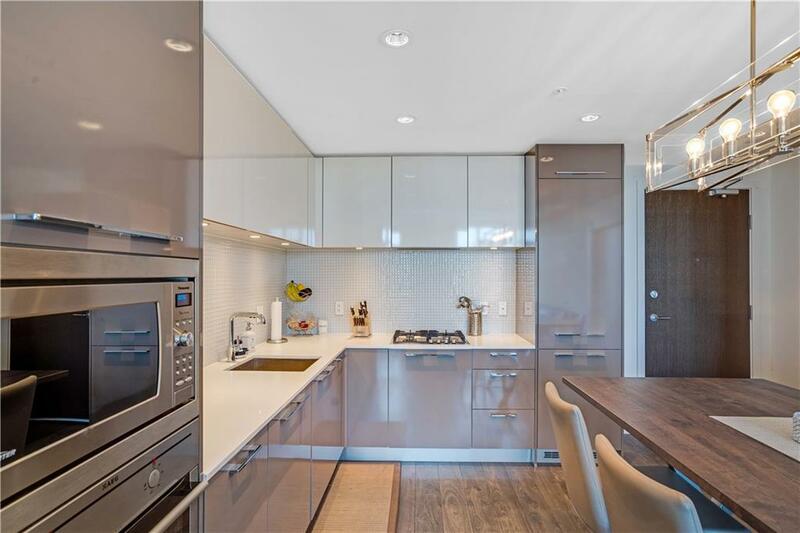 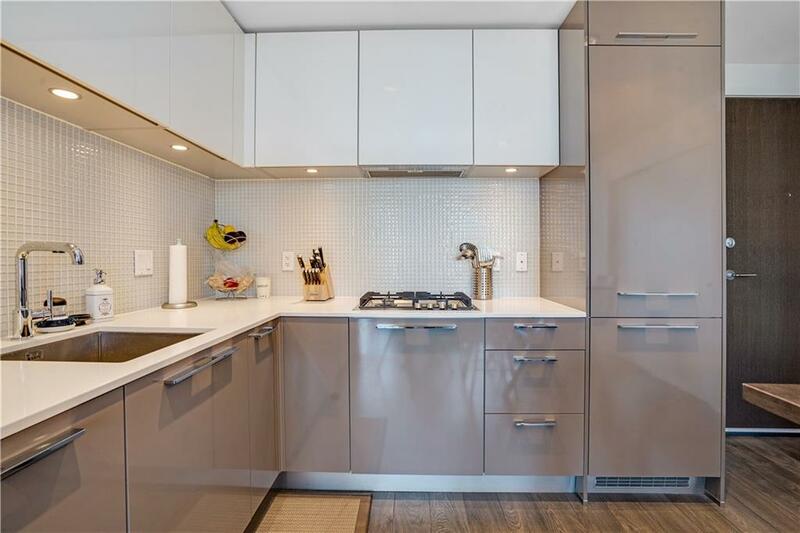 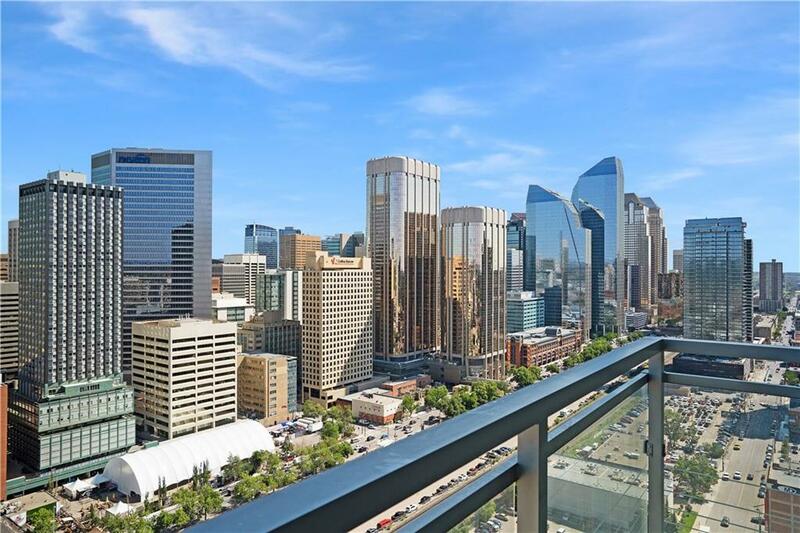 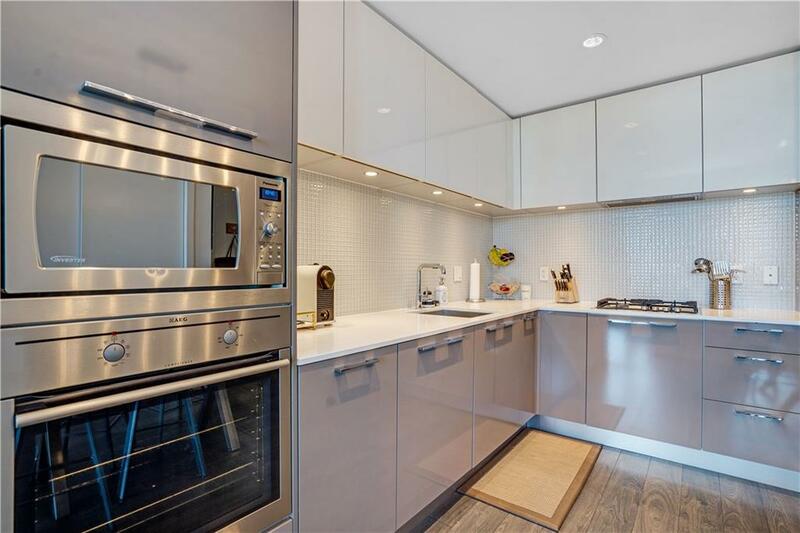 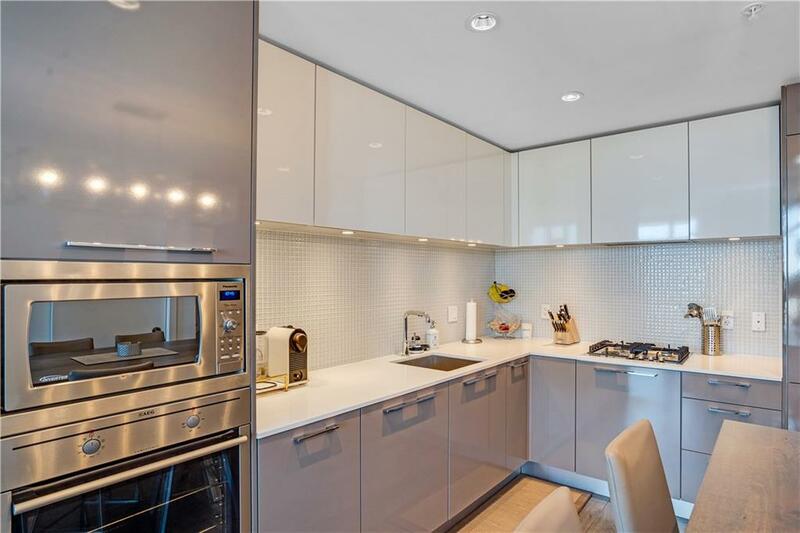 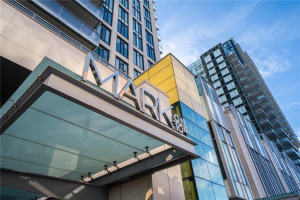 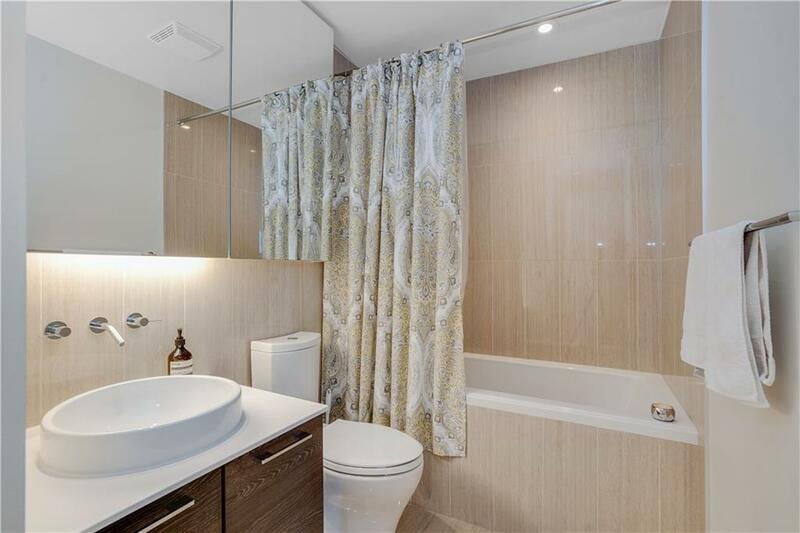 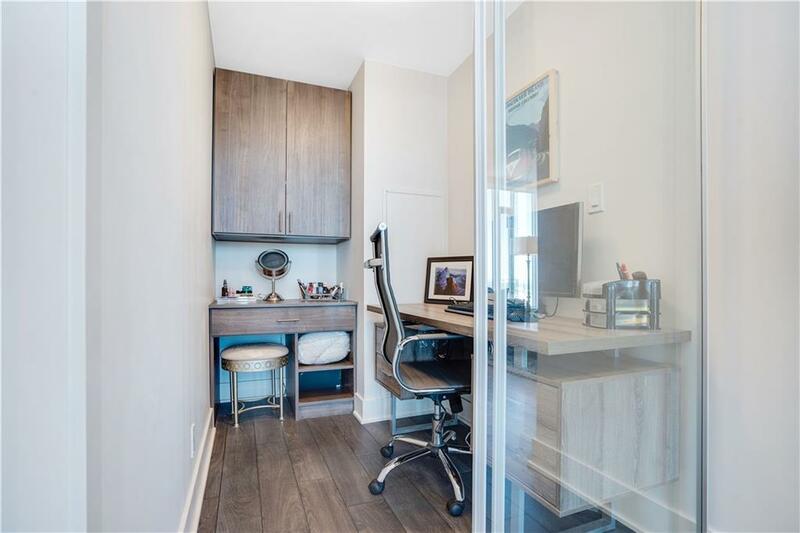 Don't miss out on this beautiful 1 bedroom + den on the 27th floor of the award-winning "Mark on 10th" building. 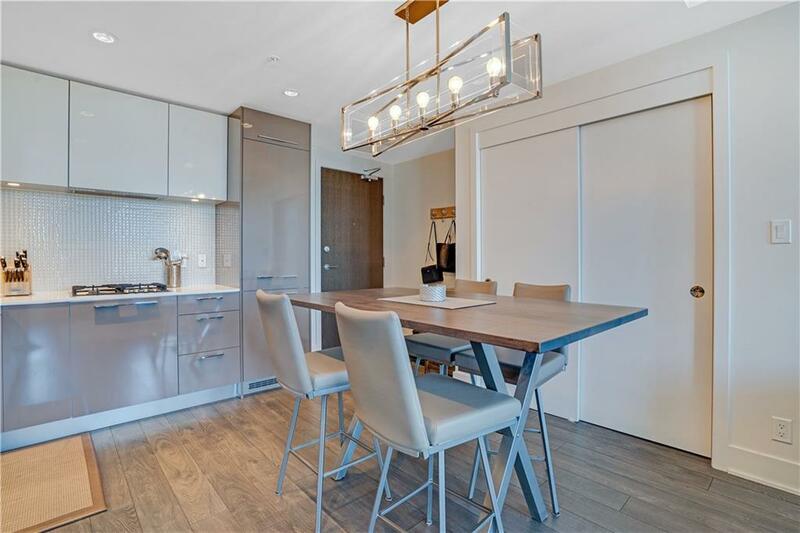 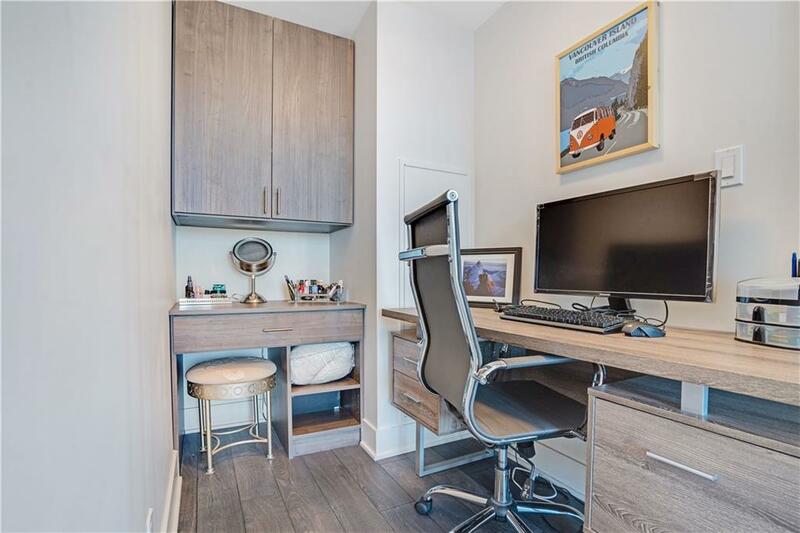 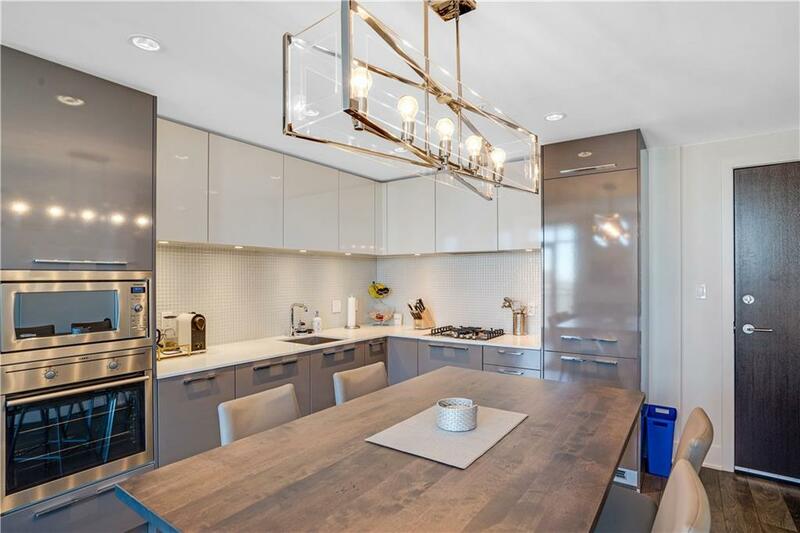 High-end executive finishings include a full stainless steel appliance package with gas cooktop, quartz countertops, soft close cabinets, undermount lighting, $700 window treatment upgrade, $3,500 in upgraded custom closets as well as a custom desk for the den. 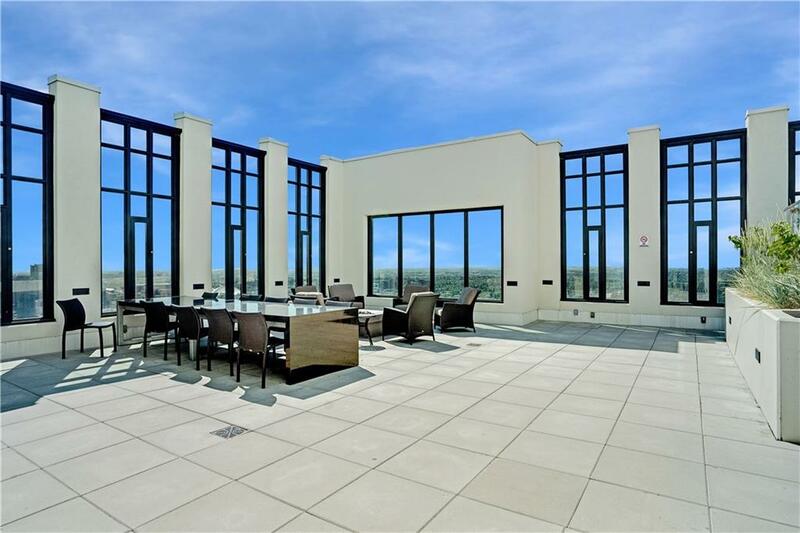 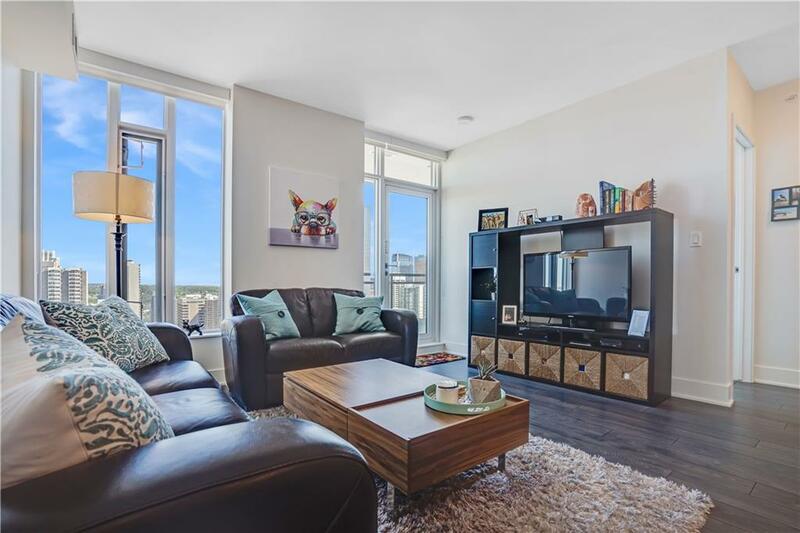 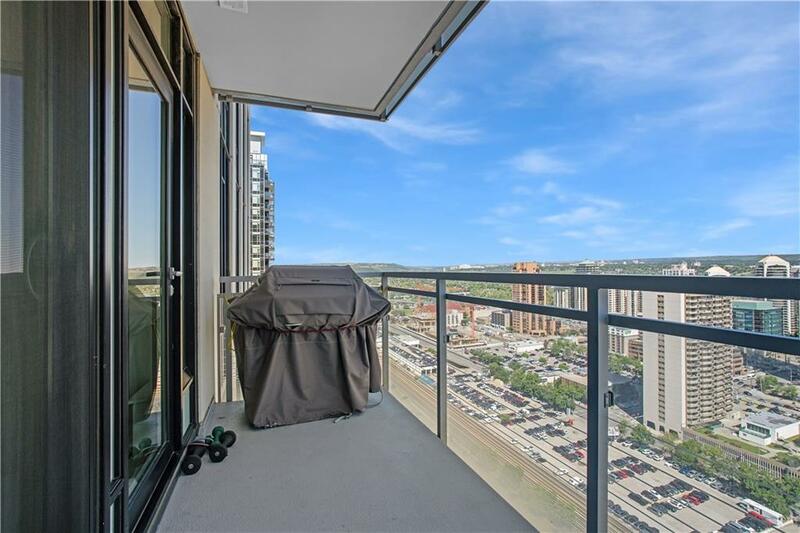 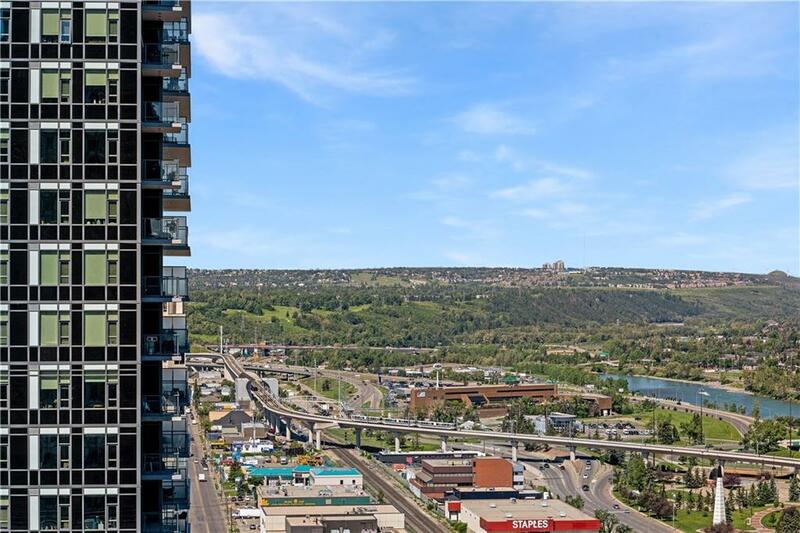 Patio doors open up from both the living room as well as the master bedroom where you will take in a 180-degree view of the city skyline and river. 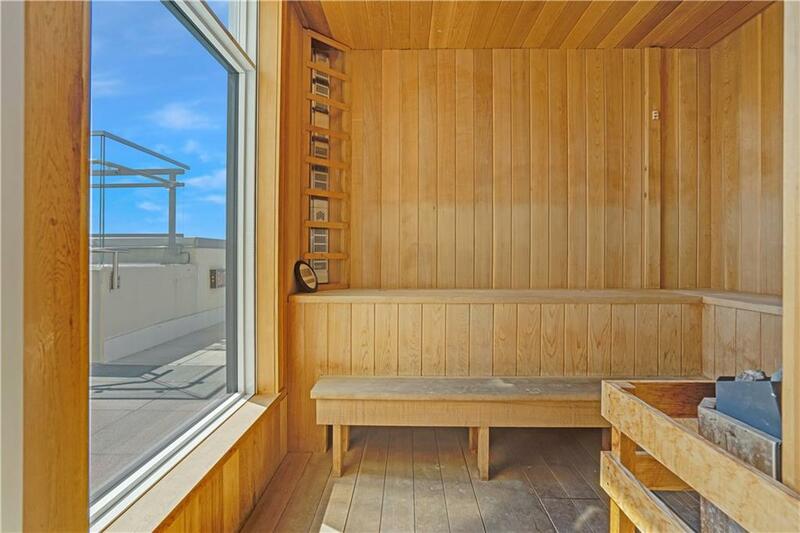 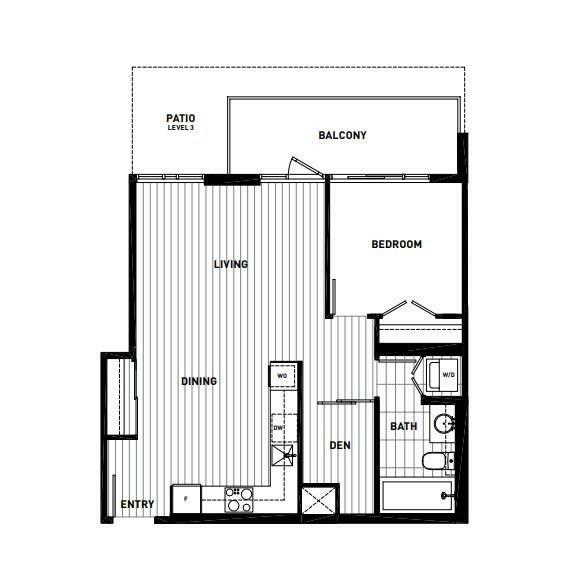 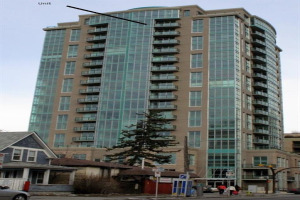 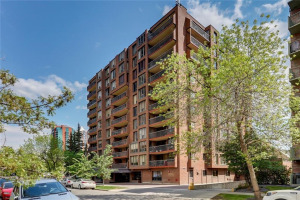 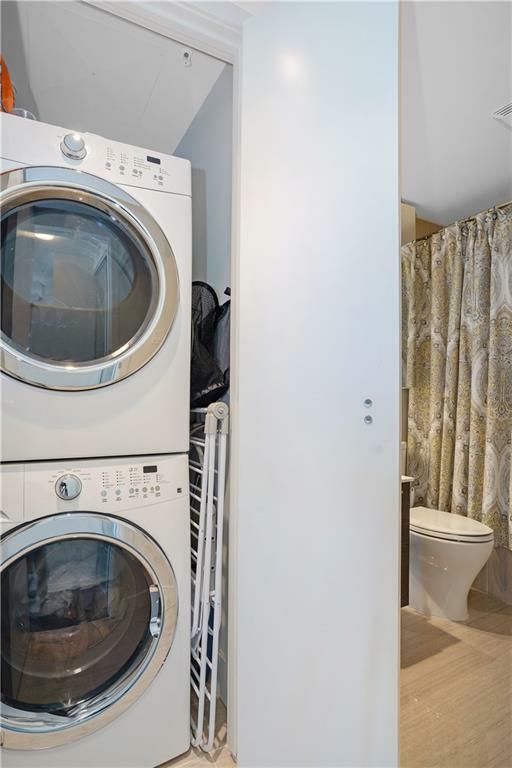 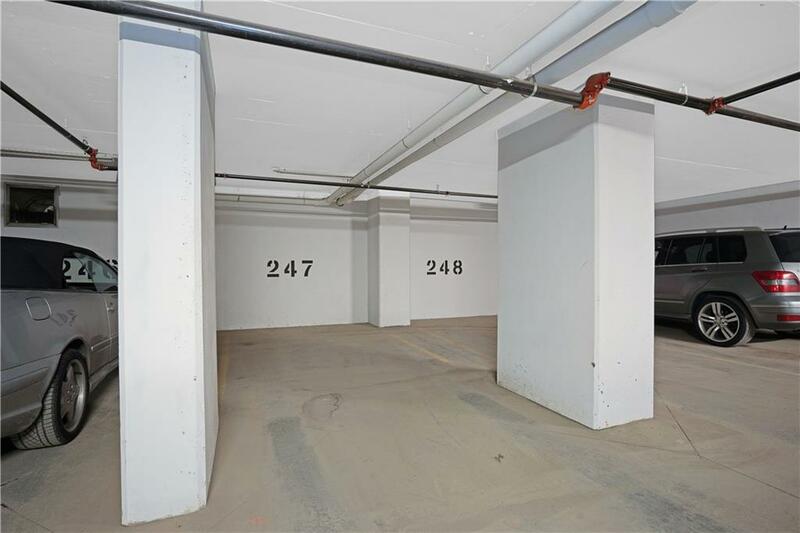 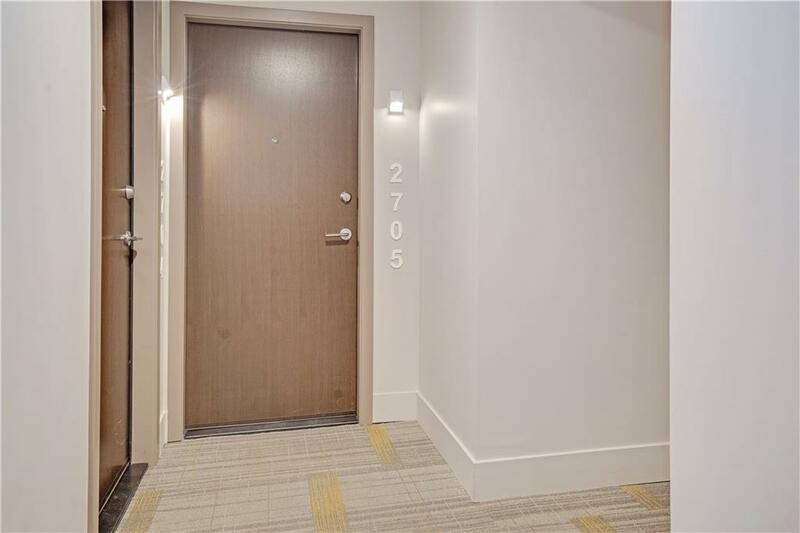 Included is 1 extra storage locker as well as an underground titled parking stall. 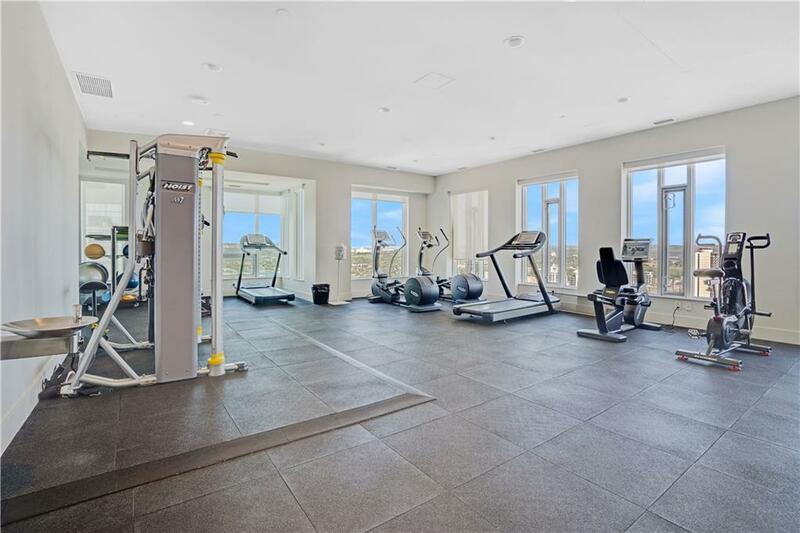 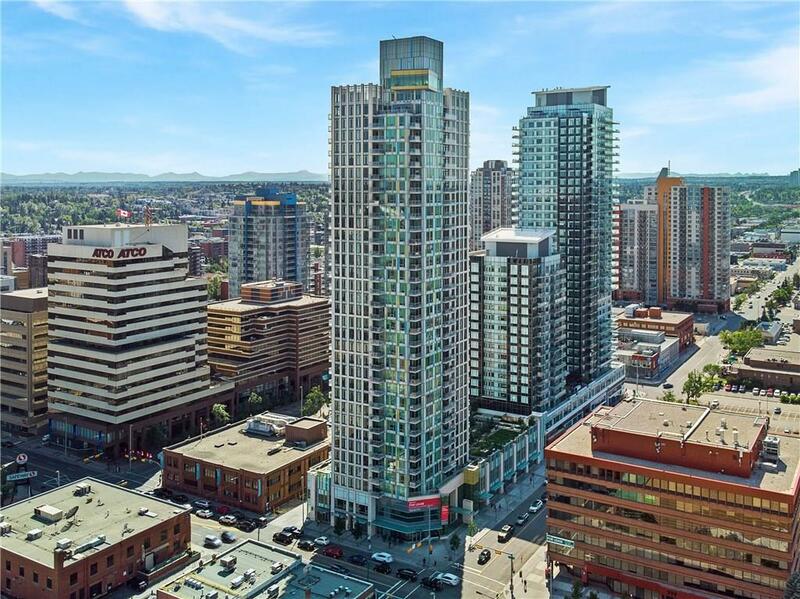 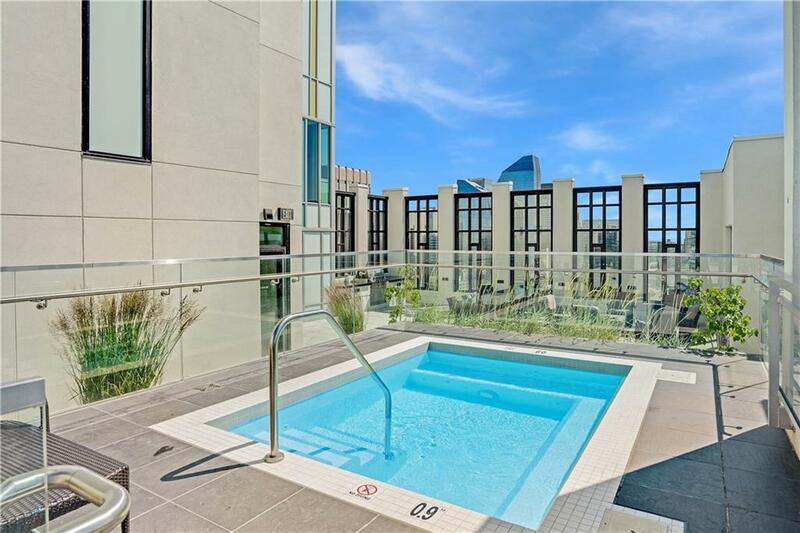 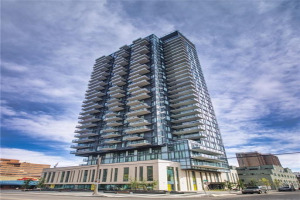 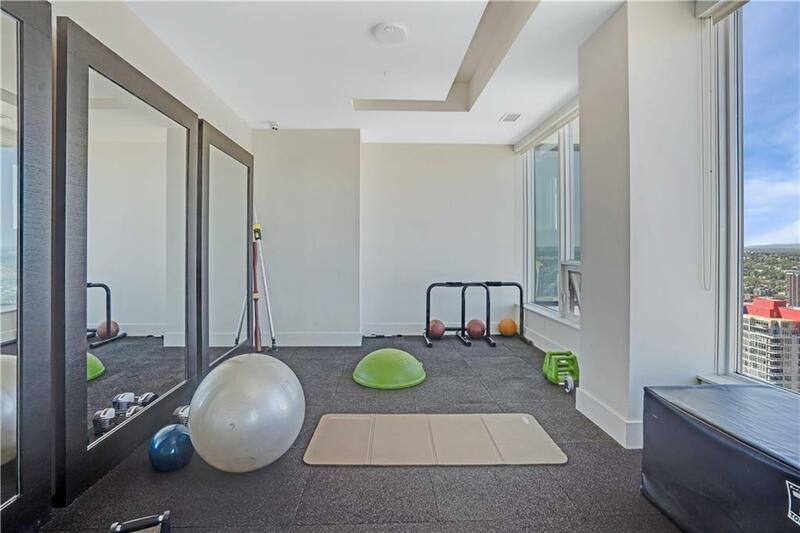 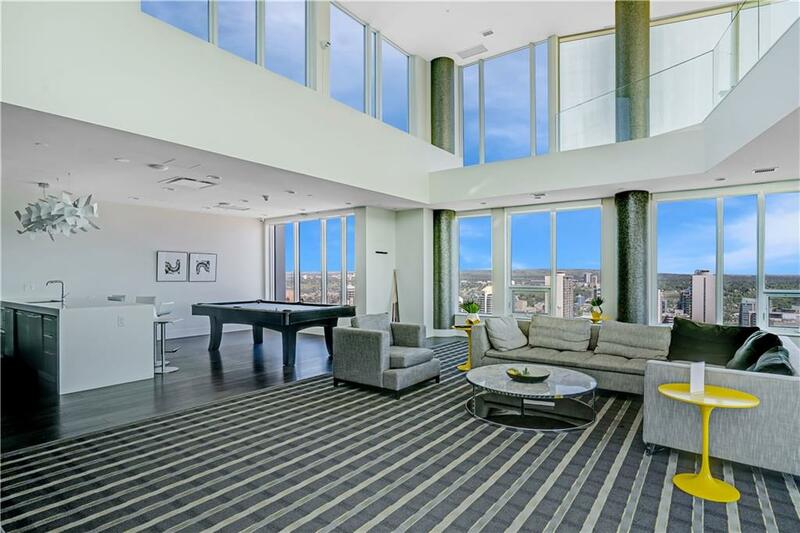 State of the art building amenities are found on the 34th floor and include an outdoor hot tub with space to entertain as well as sun loungers, a fully equipped fitness facility with yoga studio, sauna, steam room, pool table, media center, and owners lounge. 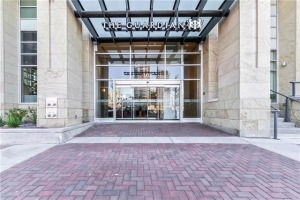 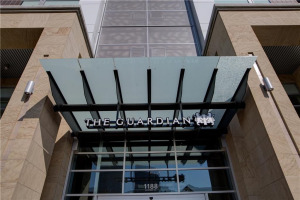 The building also offers concierge services, security, a guest suite, and courtyard. 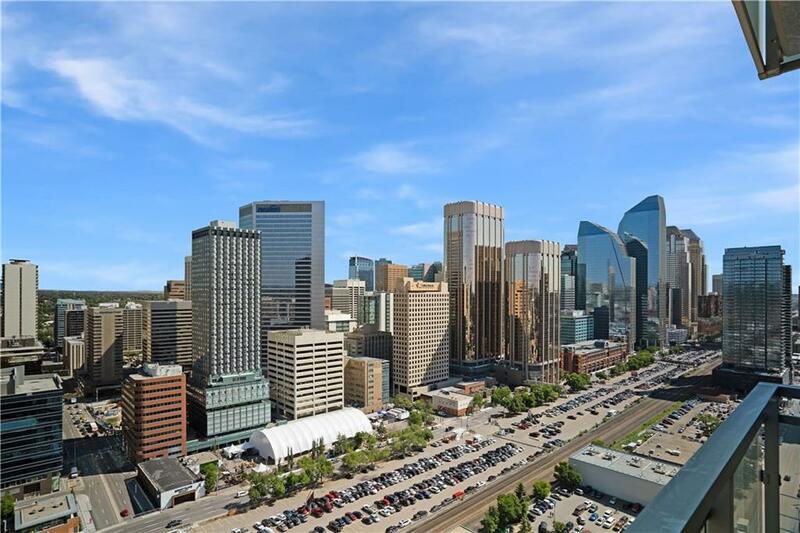 Click on the multimedia icon to watch a video trailer!